Ghada Tabet is a professional administrator who has, for over a decade, worked at the highest levels of executive office management across a number of demanding industries including retail, legal, investment and tourism. 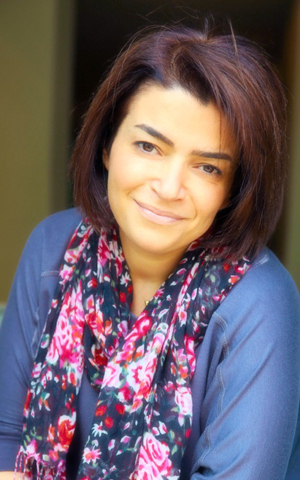 Multi-lingual with fluency or proficiency in Arabic, English, French and Spanish, Ghada began her career as an English language educator before moving into the realm of executive office management. Throughout her career Ghada has proved exceptional in the handling of sensitive materials and issues and of working with strong political and commercial discretion which earned her the solid trust of leading figures in the private and public sectors at the highest possible levels. Ghada’s tenure as Executive Office Manager for the Abu Dhabi Tourism Authority charged her with daily personal contact with government, political, cultural and industry contacts. Working closely with the authority’s Chairman, His Excellency Sheikh Sultan Bin Tahnoon Al Nahyan and its Director General Mr Mubarak Al Muhairi, Ghada proved a solid, and discreet, bedrock of support in bilateral liaison, travel itinerary planning, meetings scheduling, project research and contact maintenance. Excellence of service led to Ghada being nominated, in 2008, for the Abu Dhabi Award for Excellence in Government Performance. Her exposure to the many facets of organisations, as executive office manager, has provided her with a deep understanding of human resource, financial and government relations. With a highly attuned social conscience and firmly committed to service in the community, Ghada has held volunteer posts in a number of public service organisations across Lebanon and the UAE. These include the Girl Scouts of Lebanon, the Lebanese Red Cross, Medecins Sans Frontieres and the Make A Wish Foundation. Ghada is also a member of the UAE Human Rights Organisation.